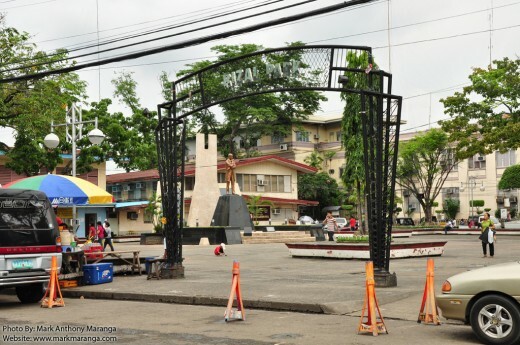 As viewed from San Pedro Street, the oldest street in Davao City. 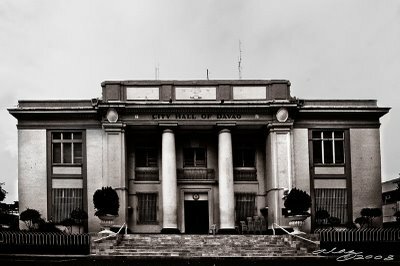 The Old City Hall (formerly the Municipal Building) was constructed in 1926, some ten years before Davao finally became a city. This rare photograph is courtesy of the Davao Tourism Office, Mr. Robert Bula and Digilution. The old Municipal Building with Osmena Park in the foreground. 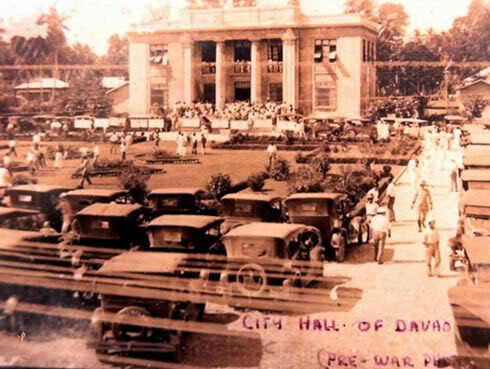 Another old Photo of Davao City Hall. 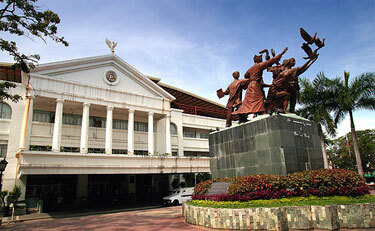 A closer look of the City Hall of Davao City as seen today. with the Legislative Building in the background. Unveiled during the celebration of the Philippine Centennial in 1998, the monument depicts the peaceful relationship of the migrant and indigenous inhabitants of Davao in the last 100 years. 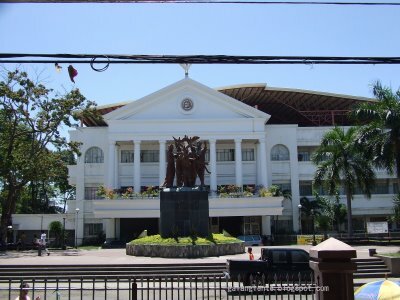 The Legislative Building (Sangguniang Panlungsod ng Dabaw) as viewed from San Pedro Street with the Commemorative Monument of Peace and Unity in the foreground. 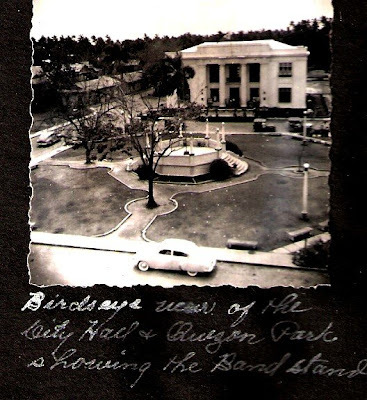 The Davao Rizal Park is the place where some government-financed bands held their concerts. It is also a gathering place for short meetings of government staffs and where the “way kurat” (fearless) former Mayor (now Vice-Mayor) Rodrigo Duterte speaks to the public about different city concerns. 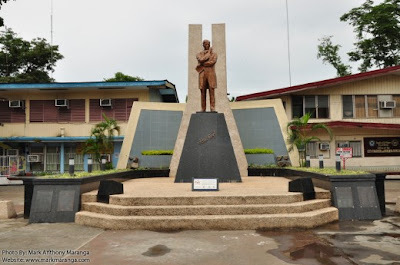 The Rizal Shrine at the Rizal Park Davao City was renovated by MICO and YOC and was officially turned over on March 12, 2009 to the Honorable Mayor Rodrigo Duterte by MICO President Yvonne B. Yuchengco. 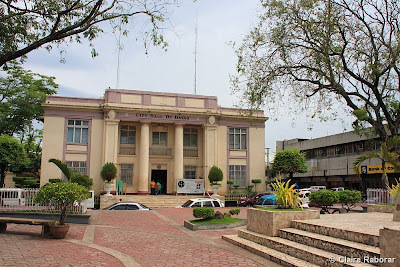 About 15 meters away to its left is the Legislative Building (Sangguniang Panlungsod ng Dabaw) and to the right is Quezon Park and Davao City Hall. I am glad that you really like Davao. I am proud as well of my hometown. Davao City is incomparable to any cities in the Philippines. 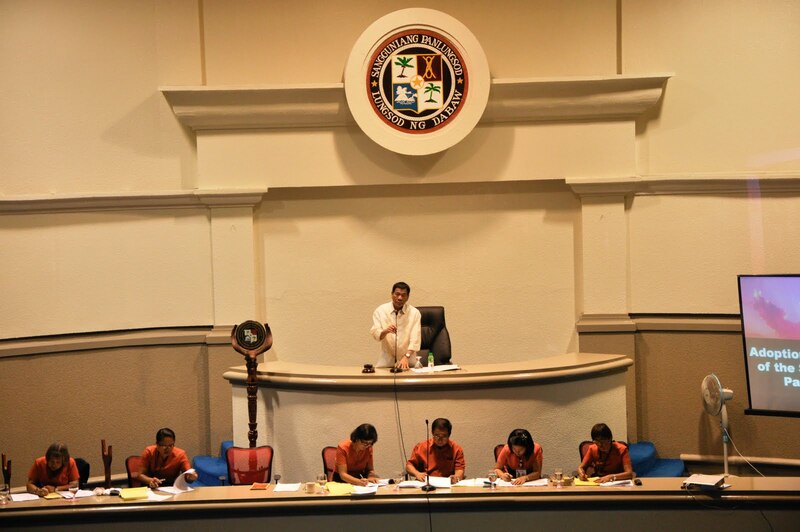 Nowhere in the world can ever compare the beauty and magnificence of Davao City; especially its well-disciplined, and peace-loving Dabawenyos; and the most impressive progress it achieved over the years. 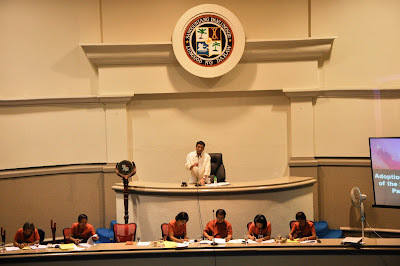 I have so much fond, unforgettable memories of Davao City that I hope to be back and take residence there with my family in the not too distant future. Thank you for visiting my blog and for your comments. I certainly hope to hear from you again. If only I had found your blog earlier, we would have met in the SP building when you were here. Just curious though, were you the one who took the photos of the SP building? I asked because it had white paint and currently its already green. The photos were actually sourced from the web when I was blogging about this particular post. I believe the green motif was effected through the present mayor, Inday Duterte.